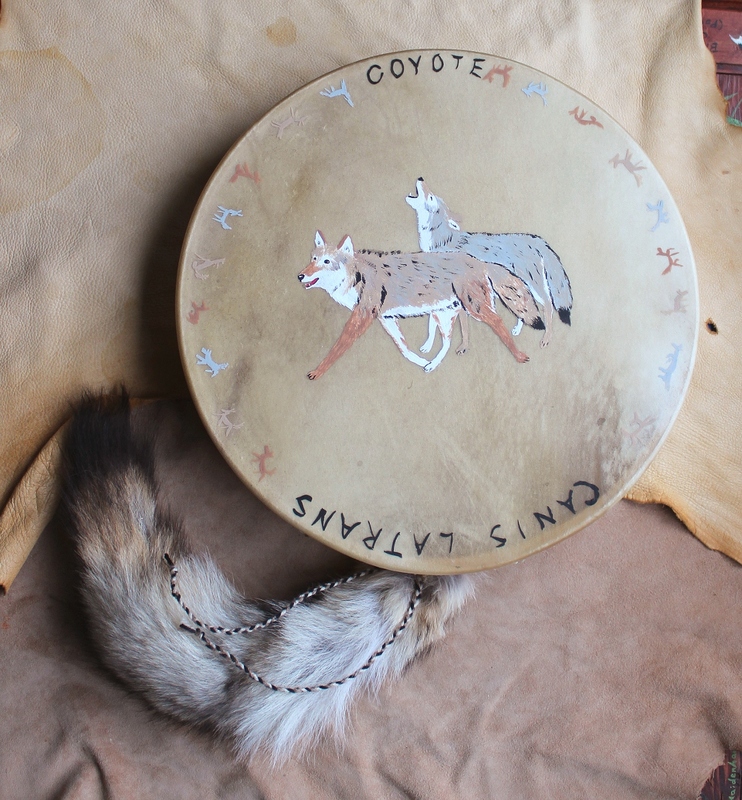 At the center of this beautiful golden deer rawhide drum I painted a pair of coyotes. Are they packmates? Partners? 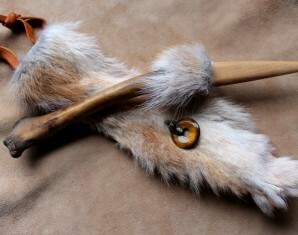 Two aspects of the totem Coyote? You may have to just find out yourself! 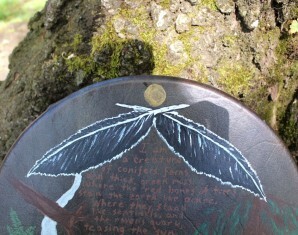 Around the edges of the drum I painted “Coyote”, along with the coyote’s scientific name, “Canis latrans”, which means “barking dog”. 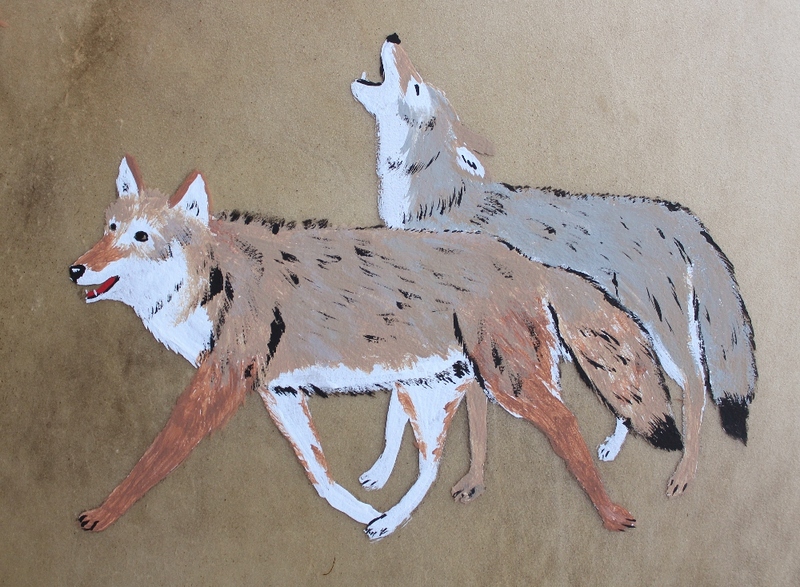 In between these names I added a variety of simply painted but animated little stick-figure coyotes, howling and dancing around the edge of the drum. Both the drum and beater are decorated with real coyote tails, and the beater is also adorned with braids I made from secondhand yarn. Please be aware that the pictures do NOT do justice to the painting! 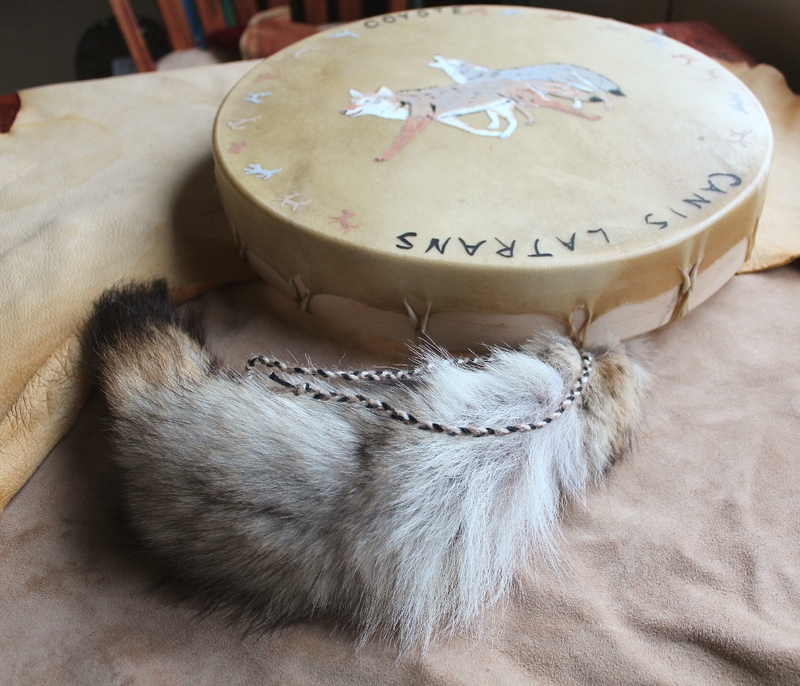 I cut the head and lacing by hand from a whole deer raw hide to create this drum, using a handmade (not by me) deodar cedar hoop. 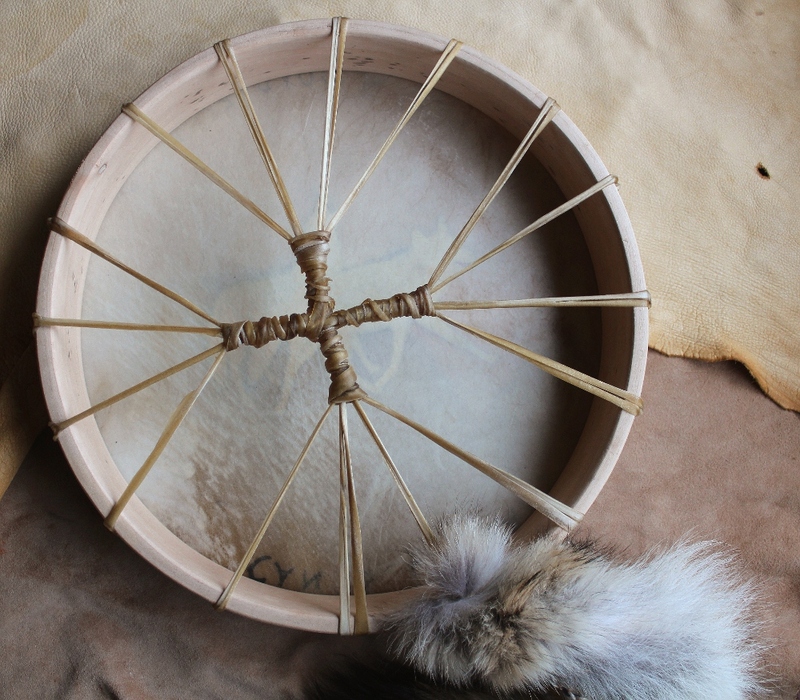 The lacing is much stronger and durable than artificial sinew, and as it is cut from the same hide as the head it creates a more harmonious energy. It’s been woven into a strong, four-way handle, much sturdier and easier to hold than thin, radiating straps alone. 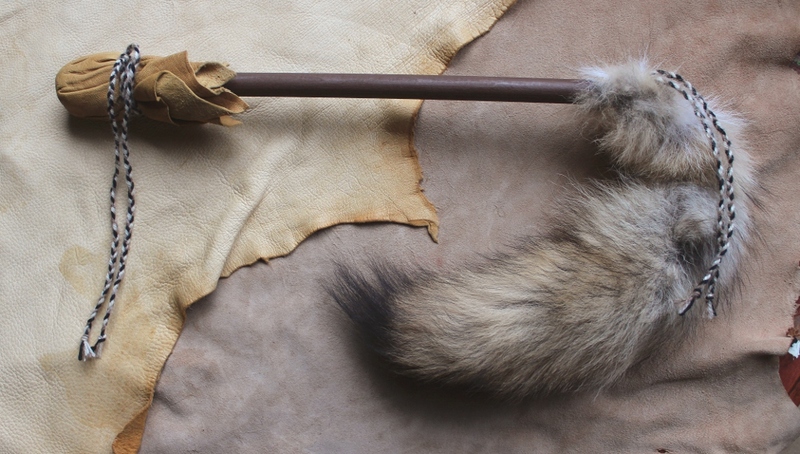 The beater is made from a thick hardwood dowel, painted brown with acrylics. 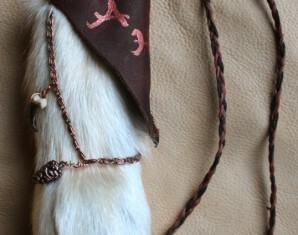 The head of the beater is padded and also wrapped in leather, and then decorated with a braid of secondhand yarn.